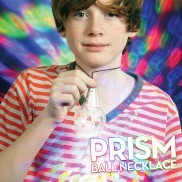 It's a party in a prism ball! 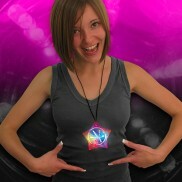 Get your party going with the light filled Flashing Prism Ball Necklace. 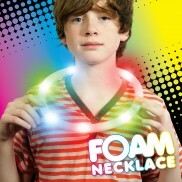 The LED Foam Necklace is just like our Flashing Foam Stick but in a necklace form that pops around your neck! 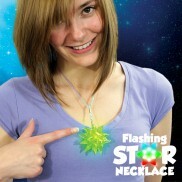 Sparkle and shine until your heart's content with a colour change flashing glitter heart pendant! 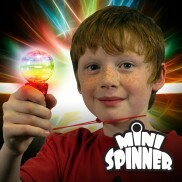 See colourful circles of light appear inside the mesmerising Mini Spinner for hands free light toy fun! 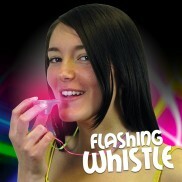 Very popular, batteries included! 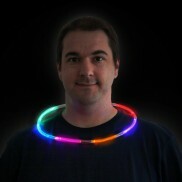 The infinity tunnel pendant creates a colourful illusion of a tunnel of lights stretching off into the distance. 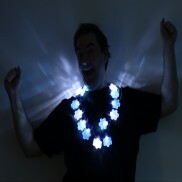 Mesmerising! 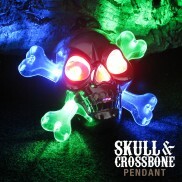 A funky flashing jolly roger pendant that lights up with colourful LED's for super duper piratey fun! 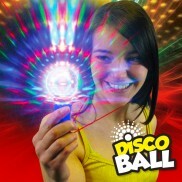 The dazzling Disco Ball projects stunning flashing disco lighting effects at the push of a button! 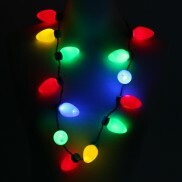 Three flashing modes with necklace - its a real mobile disco! 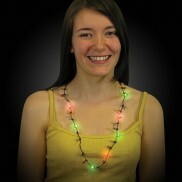 Super bright and packed with multi coloured LEDs, the flashing rope necklace is like a party round your neck! 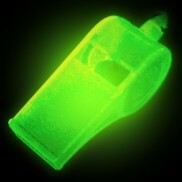 Glowing whistles are made from glow in the dark plastic and will glow in the dark after exposure to light and under UV blacklight.